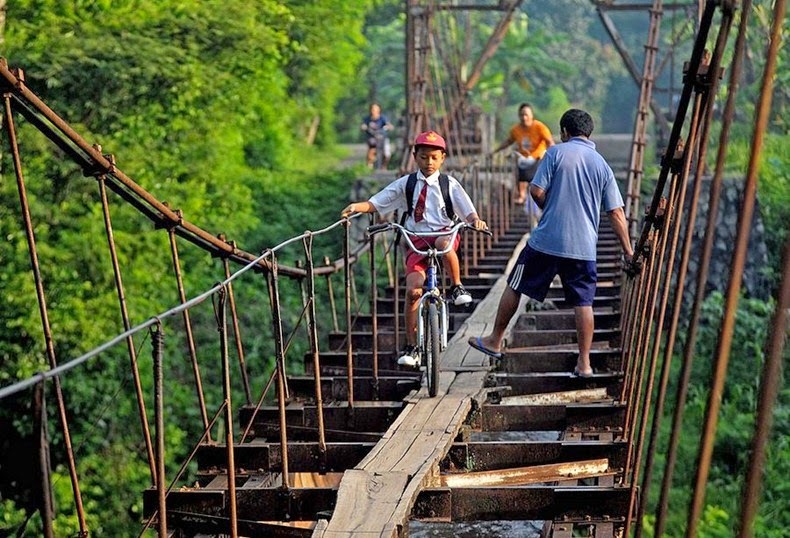 In Indonesia once again, children bicycle their way over an aqueduct which separates Suro Village and Plempungan Village in Java, Indonesia. The children have opted to use this way to get to school, even though it is scary and precarious, and the aqueduct was not made for people to walk on. The alternative means they would have to walk a distance of over six kilometers to reach school. 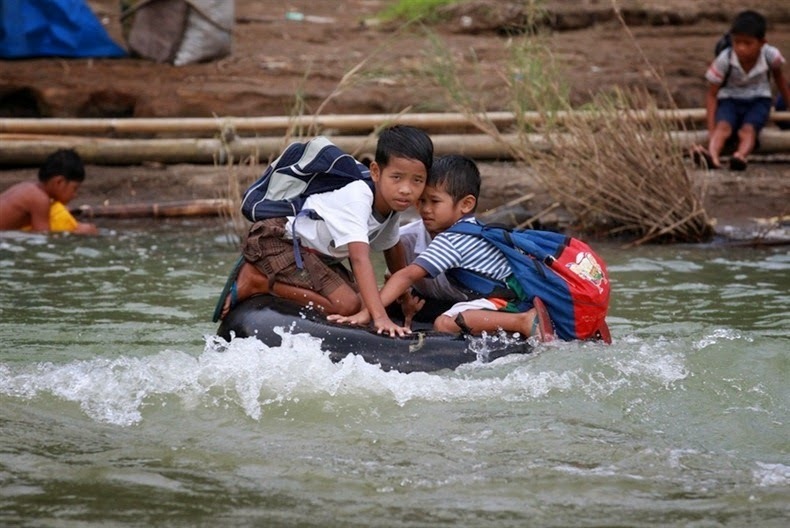 These elementary school students from the Philippines ride an inflated tire tube across a river on their way to reach their school in a remote village in Rizal roving, which is located east of the capital Manila. It is an hour walk a day to get to and from school, and sometimes they simply cannot make it in to class or back home because the river is too swollen from heavy rains. 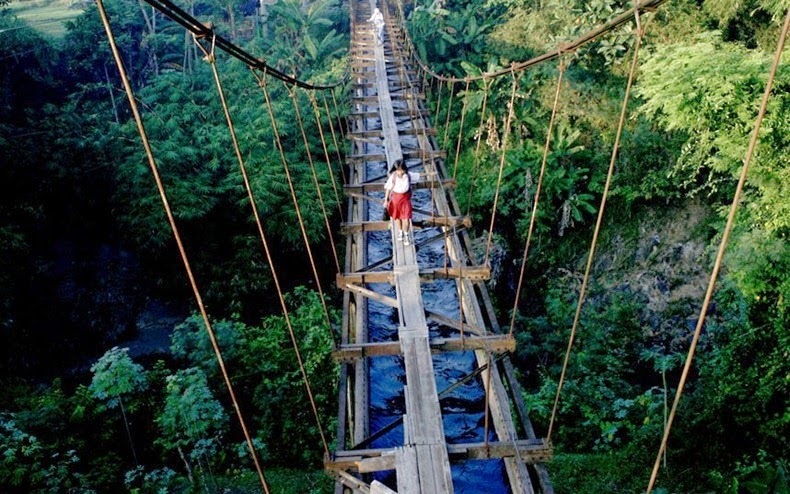 The community has petitioned the local government to erect a suspension bridge to make the crossing faster, easier and, of course, safer.